Learn to play the ukulele and open up a brand new world of musical knowledge with this exciting method from Alfred. Beginners of all ages can start their journey to a lifetime of musical enjoyment. Beginning with the fundamentals, you will learn about the history of the ukulele, its components, how to hold and tune it, and getting acquainted with standard musical notation. You will then move right along to playing different notes, chords, scales, and songs, lesson by lesson, all while continuing to increase your ever-growing knowledge of reading and understanding standard musical notation and playing a variety of well-known songs. You will learn different strumming techniques to help you play in a variety of musical styles. The book also contains a section teaching you how to play by ear. 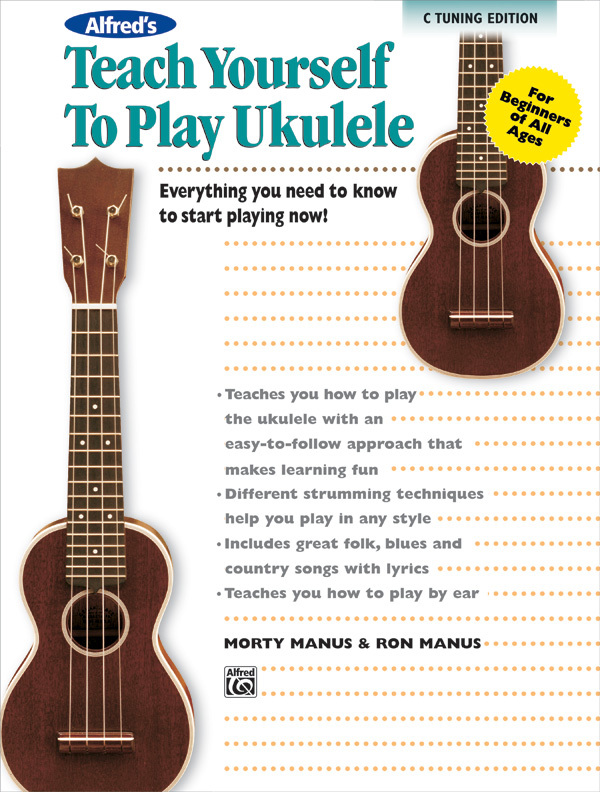 Upon completion of the book, you will be able to play your favorite songs on the ukulele in any key and know how to read music. The book features the following resources for reference during and after your lessons: * Transposition chart* Dictionary of tablature techniques* Ukulele fingerboard chart* Complete ukulele chord dictionaryThis book teaches entirely in C tuning. The D tuning edition of Alfred’s Teach Yourself to Play Ukulele (item 14135) is available from your favorite music retailer and at Alfred.com. Be your own teacher, and let Alfred be your resource every step of the way.